Antimony toxicity is a one of the levels for toxic metals that is tested on the HTMA. 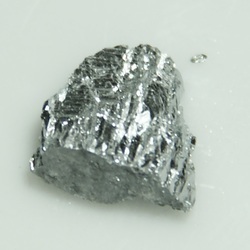 Antimony is often used with lead for the production of semiconductors and thermoelectric devices. Other exposures include pharmaceuticals, mining, making pewter, solder and storage battery plates. Antimony is also used on children’s pajamas and clothing to make it fireproof. Antimony toxicity can produce disorders that include: Cardiotoxicity which occurs with antimony pharmaceuticals. Occupational exposure – irritation of mucus membranes, eczema, chemical burns, perforation of the nasal septum, antimony spots, benign pneumoconiosis and possible lung cancer risk. Antimony in combination with a strong acid leads to Stibine toxicity with hemolysis, shock, CNS symptoms and death due to anuria.